A few weeks back I finally took the Monkeying Around quilt to Bears Quilt Studio for quilting. 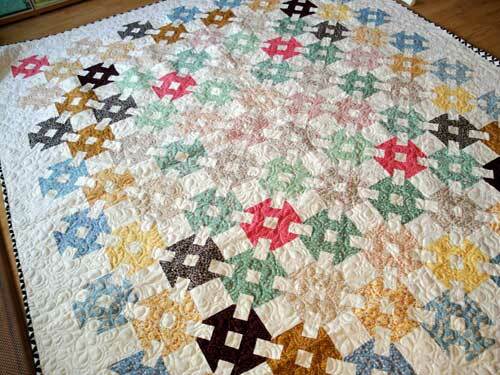 Much easier and less frustrating to pay someone to quilt it. Because the quilt design is old-fashioned, I thought the quilting should be more traditional and chose all-over feather quilting. 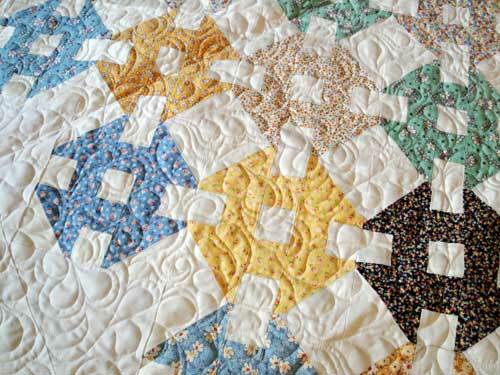 Surprisingly, despite the denser quilting, the quilt drapes wonderfully. And to finish it off, I bound it in a mod-ish black and white fabric. This quilt is finally truly done after starting it two years ago.